In my excitement for all the new Star Wars gear coming out today, I decided to put a little touch on our favorite characters thanks to Beats Music and the new Straight Outta Compton movie. 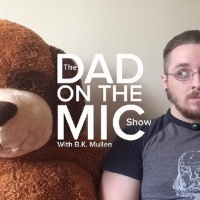 The Dad On The Mic Show Ep 15: I Wrote A Book! Change Is Good: Too T.V. or Not Too T.V. Now on Amazon Kindle, pre-order “The Fatherhood Chronicles: Becoming A Parent at 23 and Other Stories” today! When you pre-order you’ll receive the Kindle book at 12AM on release day- August 29th. Its something of a standard in our family to have a beard. I suppose its just nature that the three “Mullen Men” all look stunningly handsom (just sayin) with facial hair. We’ve had all sorts of styles from goatee’s to mega beards and for a short time, even a fu-manchu style.